Hi! My name is Alicia and I’m obsessed with flowers and the floral industry! It all started a long time ago while growing up in Northern California. My childhood was filled with days of playing in my grandmother’s rose garden and clipping sweetpeas & lilacs from the neighbors’ gardens. Flowers remained with me even when I got a ‘grown up’ post college job working at a computer software company in San Francisco – a vase full of my grandmother’s roses sat next to that computer! Alas, that ‘grown up’ job just wasn’t right for me and in the evenings I took floral design classes at San Mateo College just to be creative .. never thinking it was leading me to my next career! 2002 brought a move to Denver, Colorado and in 2003 I launched my business, Bella Fiori. For 10 years I designed, designed and then designed some more! It was a wild ride, it was a good time, I’m thankful for all I learned and for the amazing friends who came into my life! 2013 brought a move to Washington state for my husband to pursue a career opportunity. Yes, I do still design flowers for weddings & events — I love it too much to quit! Along with writing this blog, teaching floral design workshops, coaching new business owners, gardening on our one acre (can’t call myself a flower farmer by any means, I’m just happy to be gardening! — I grew all those flowers in the arrangement I’m holding! ), traveling to Holland and any place else I can get my flower fix, hanging out in Santa Barbara every January for Florabundance Inspirational Design Days, visiting flower farms in Washington State, and the list goes on! Get a glimpse into my flower filled journey on Instagram. As for Flirty Fleurs, it started as an idea in May 2010 when I was talking with a few of my flower friends – I said to them, I want a blog where we can just talk about flowers, where we can support other florists, where we can tell the world how great floral designers are!! You’ll see some old posts on Flirty Fleurs from them – Chuck and Andrea. 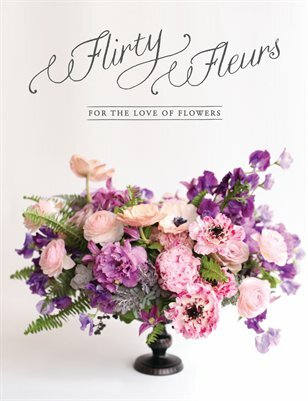 Oh, and I do have a book called Bella Bouquets and in 2014 we published the first ever Flirty Fleurs Magazine!